Welcome to Carriage Hills and Horseshoe Valley, just one hour north of Toronto, a four-season natural playground with rolling hills and forested trails. Whether you want to ski meticulously groomed trails through snow-laden forests of pine, tee off at one of eighteen area golf courses, hike or mountain bike one of several picturesque trails, or just relax at the end of the day, Carriage Ridge Resort and Carriage Hills Resort in Horseshoe Valley are your very own base for fun and adventure. 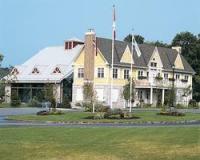 At our Ontario resorts you’ll find all the comforts and amenities of home in a spectacular country setting. Spacious Studios feature private balconies, living area and kitchenettes (sink, toaster, coffee-maker, microwave only and bar fridge). One-bedroom and two-bedroom condominium accommodations feature fully-equipped kitchens, gas fireplaces and over-sized jetted tubs, making Carriage Ridge Resort and Carriage Hills Resort absolutely ideal for family vacations, romantic getaways, golf and ski guests to Horseshoe Valley, Ontario. Carriage Ridge Resort and Carriage Hills Resort in Ontario is your year round getaway. And with an inviting location convenient to the waterfront cities of Barrie, Midland and Orillia and just a quick day trip to Niagara Falls, you just won’t find a better setting for your next visit to Horseshoe Valley.